The win could be a huge boost for a Texas (2-1) program that desperately needs one after eight years without a Big 12 title and a run of bad seasons. Herman is 9-7 with the Longhorns and got this win in front of an energized school-record crowd of 103,507 that stayed to the end and kept up deafening chants of "Texas Fight!" Ehlinger threw touchdown strikes of 47 yards to Lil'Jordan Humphrey and 27 yards to Joshua Moore. Wheeler's scoop and score came in the third quarter after Texas blocked a 50-yard field goal attempt. The touchdown put the Longhorns up 30-14. USC: The Trojans will have to regroup to keep their season together. Daniels was sharp in spots and led USC to a pair of first-quarter touchdowns after not finding the end zone against Stanford a week earlier. Personal fouls kept a couple of Texas scoring drives alive - linebacker Porter Gustin was ejected for targeting - and short punts led directly to two Texas scores. 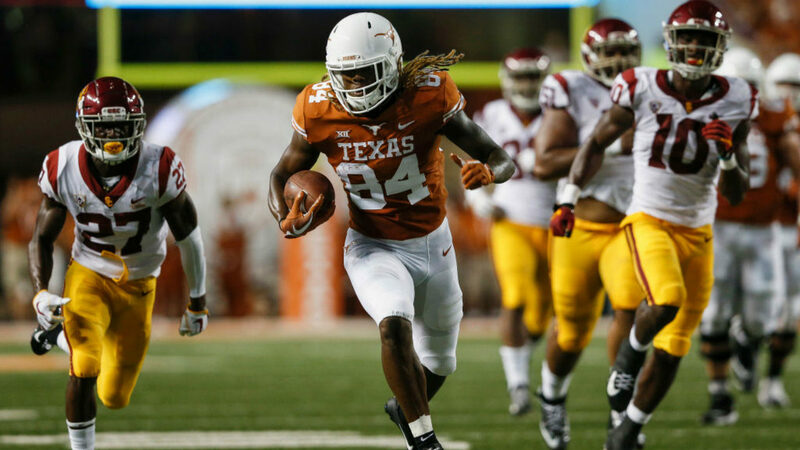 Texas: The Longhorns will expect to earn some respect with this win. Texas fought back from the early deficit, the defense dominated the Trojans' running game and kept up the pressure late. Ehlinger was efficient, playing his first game this season without a turnover. USC hasn't come close to living up to its preseason expectations, but it's still a traditional power and Texas pushed the Trojans around. Texas also got program win No. 900, joining Ohio State and Michigan as the only programs to reach that number. The Trojans will fall out of the rankings after their second straight loss. Texas may need to beat No. 15 TCU next week before they can get back in as voters still might be shy about the Longhorns after their season-opening loss to Maryland and recent history.